Windows Computers should shutdown as quickly as possible unless there’s any issue causing a shutdown delay. 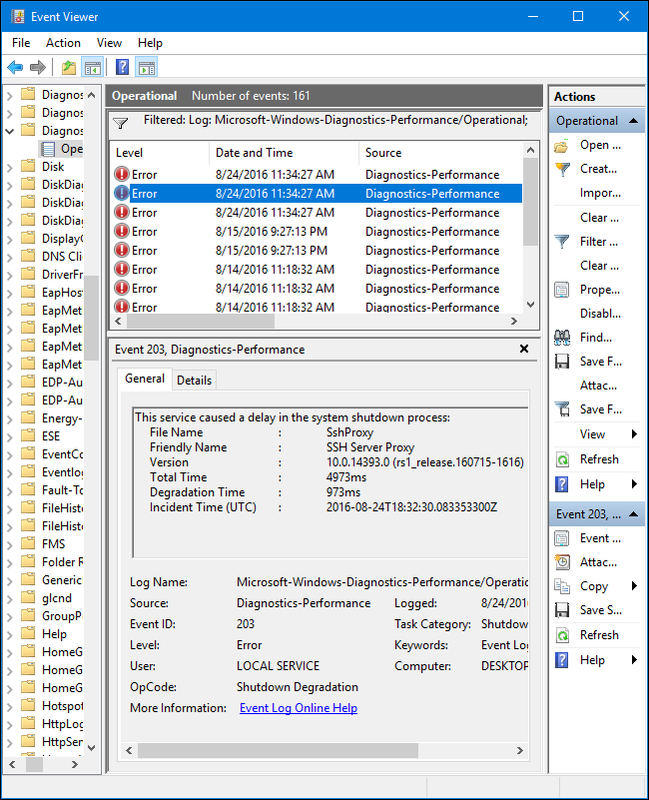 This guide will walk you through the steps to make your Windows PCs shutdown faster. 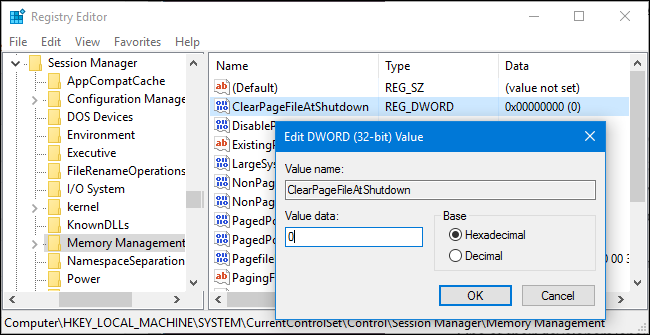 You can check if your computer is clearing its page file at shutdown by examining the Windows registry. Press Windows+R, type “regedit” into the Run dialog, and press Enter to open it. 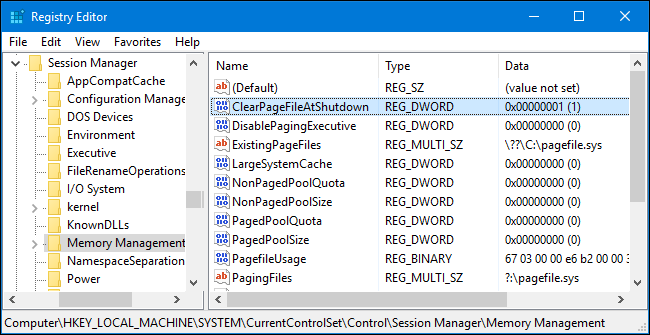 Look in the right pane for the “ClearPageFileAtShutdown” setting. If the data is set to “0x00000000 (0)”, Windows is not clearing the page file at shutdown. If it’s set to “0x00000001 (1)”, Windows is clearing the page file at shutdown. If you don’t see any “ClearPageFileAtShutdown” setting here, that’s fine—Windows isn’t clearing the page file at shutdown. If “ClearPageFileAtShutdown” set to “1”, you can prevent Windows from clearing the page file at shutdown by double-clicking the “ClearPageFileAtShudown” setting and setting it to “0”. Your shutdown process should become much faster. 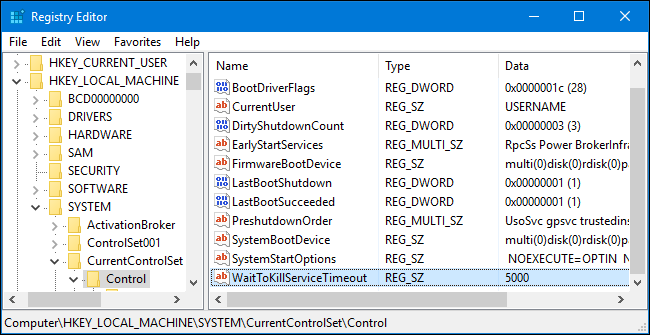 If a service running in the background on your Windows computer delaying shutdown process, you can actually check which ones are guilty. 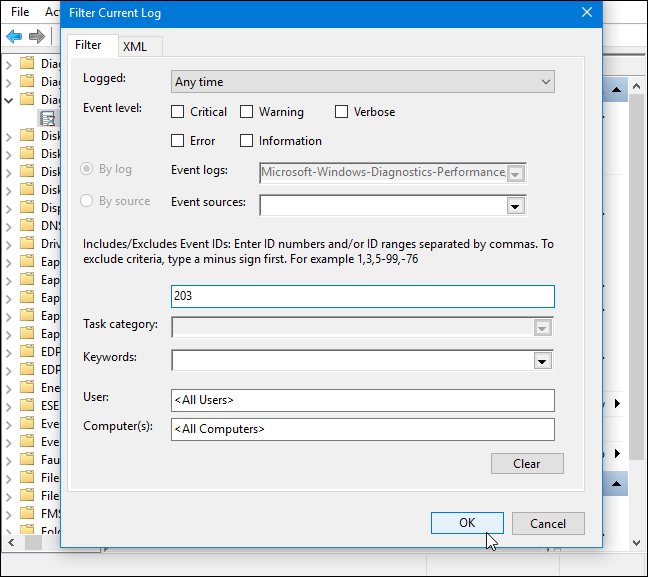 To accomplish this, you’ll need to use the Event Viewer. 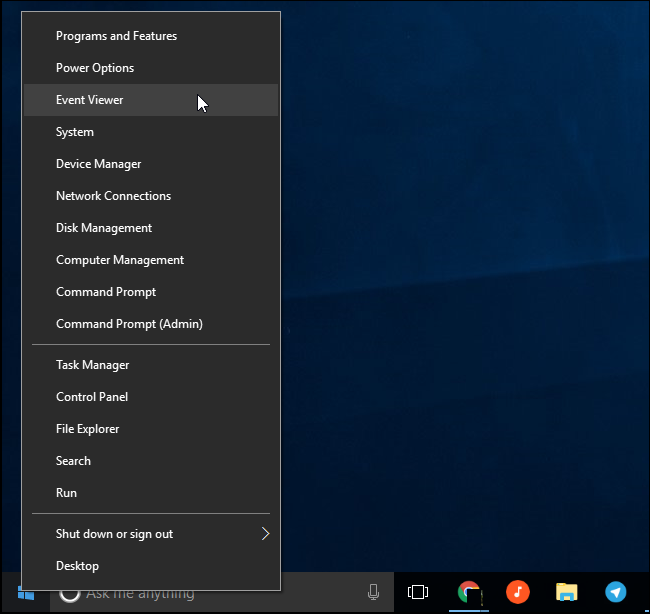 Either right-click the Start button on Windows 10 or 8 and select “Event Viewer” or press Windows+R, type “eventvwr” into the Run dialog, and press Enter. 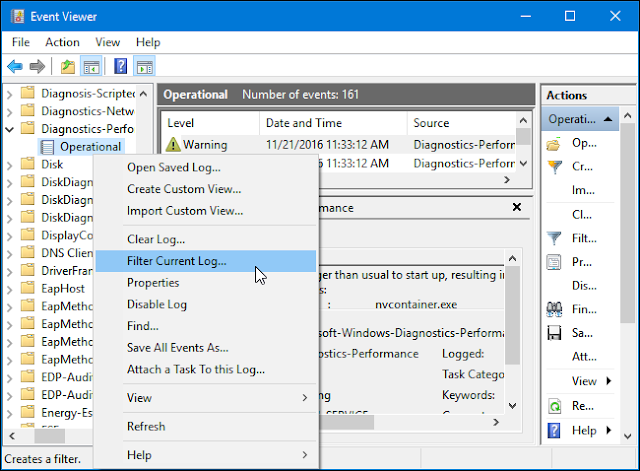 Right-click the “Operational” log and select “Filter Current Log”. Type “203” into the “Event IDs” field and click “OK”. This will filter the log to show only shutdown events. Look through the list, which will now only show events that read “This service caused a delay in the system shutdown process”. You’ll see the name of the service slowing things down in the General box. Look next to “File Name” and “Friendly Name”. The information you see here will point you at any services taking a long time to shut down. For example, VPN software might take a long time to shut down and may be causing a long delay. If you have the software installed but don’t actively use it, you can uninstall it. Search the web for the name of any software you see here to see what it is and whether you can uninstall it. Some services here are system software you can’t do anything about, however. Windows doesn’t shut down immediately when you click “Shut Down”. Instead, it sends a “the system is shutting down” signal to any open applications and background services. Windows waits for a period of time to allow these services to finish up and save their data before it closes them and shuts down the computer. By default, Windows waits five seconds after you click “Shut Down” before it closes any background services and shuts down the computer. However, if all background services shut down successfully before the five second timer expires, the computer will shut down immediately. Some applications increase the value to more than 5 seconds when you install them, as they might want extra time to clean things up at shut down. If this value has been changed, your computer will take longer to shut down than normal. Look in the right pane for the “WaitToKillServiceTimeout” and read the value in the Data column. The value is displayed in milliseconds. For example, if WaitToKillServiceTimeout is set to 5000, Windows will wait 5 seconds. If the value is set to 20000, Windows will wait 20 seconds. I don’t recommend setting this value to less than 5000. Some services may not be able to shut down properly if you don’t give them enough time. However, if an application has increased the value to a larger number, you might want to set it back to “5000”. Just double-click “WaitToKillServiceTimeout” and enter a value of “5000”. There isn’t a ton you can do to make your computer shut down faster, but hopefully with these tips and tricks in hand, you can ensure it’s shutting down as fast as possible.